Have you ever read the Terms and Conditions and Privacy Policies connected to every website you visit, phone call you make, or app you use? Of course you haven't. But those agreements allow corporations to do things with your personal information you could never even imagine. 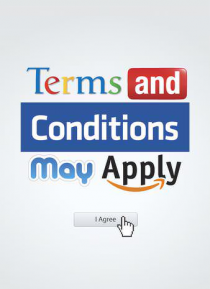 This film explores the intent hidden within these ridiculous agreements, and reveals what corporations and governments are … legally taking from you and the outrageous consequences that result from clicking "I accept."